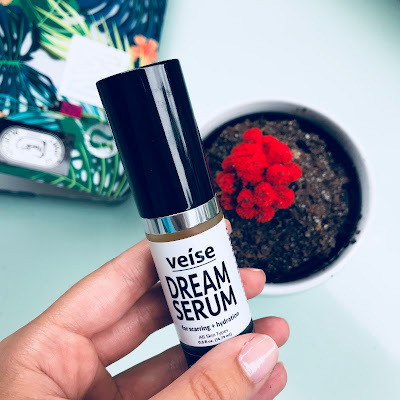 When I first came across a press release for Veise Dream Serum I had read that it would be great for acne scars and I thought it would be perfect for any pigmentation I was experiencing. Shortly after receiving a bottle of the serum my skin snapped out of it's stress phase (thank you vacation) and I couldn't properly test it on scarring or pigmentation. Fast forward to a few weeks later when one of my favorite beauty brands was having a sale, from which I ordered a new mascara. 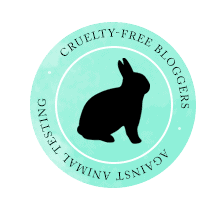 It took me a few tries but I soon realized that the mascara was causing an allergic reaction, I'm not sure if I had a bad batch or I was allergic to the formula but it caused my eyes to become irritated, puffy, and dry. An allergy medicine helped with the puffiness, but I couldn't shake the dryness and irritation-- until I realized I had Dream Serum in my arsenal. Veise's Dream Serum is cruelty free, for all skin types, and helps with keeping your skin hydrated, healing blemishes, and reducing scaring. Last month was my 23rd birthday, and after a very tumultuous year I've found myself reflecting a lot lately. 22 was a year of ups and downs, mostly downs to be quite honest. As I sit here on a particularly down night with my pint of dairy free ice cream I feel the need to share, not because I have any angst towards those who may have contributed to my down periods, but because I know that many of my friends, and other recent graduates are feeling the same and maybe sharing this will offer some solace. Since starting my fitness journey last year I've seen a lot of videos and blog posts surrounding Apple Cider Vinegar, or ACV. While I've become accustomed to the taste of ACV shots not everyone loves them, so when I was sent information on Apple Cider Vinegar Drinks for Health I was excited to be able to try out some new summer recipes with the addition of ACV. I was most drawn to the recipes that target inflammation, but there are tons of awesome recipes to try! 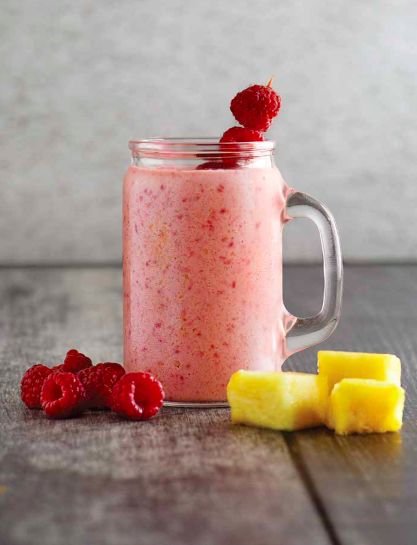 My favorite recipe is called Pink Pineapple Perfection, its a sweet blend of pineapples, raspberries, yogurt and of course ACV. I've included an except below of the recipe for you to try on your own!